Scarf season is here and I’m almost ready to pull all of mine out! Winter starts a bit later for us desert-dwellers! I am sharing five (well actually like seven) of my favorite scarves right now. When choosing a scarf you have to be sure to pick one with lots of dimension and versatility so that you can wear it with several outfits! I love neutral toned ones like the one I’m wearing below, but also love a good pop of red, forest green or burgundy in a scarf! My outfit details: Scarf c/o my Popsugar seasonal subscription box (use code COLOR for $10 off your first box! Jacqueline and I post our link-ups every Thursday! 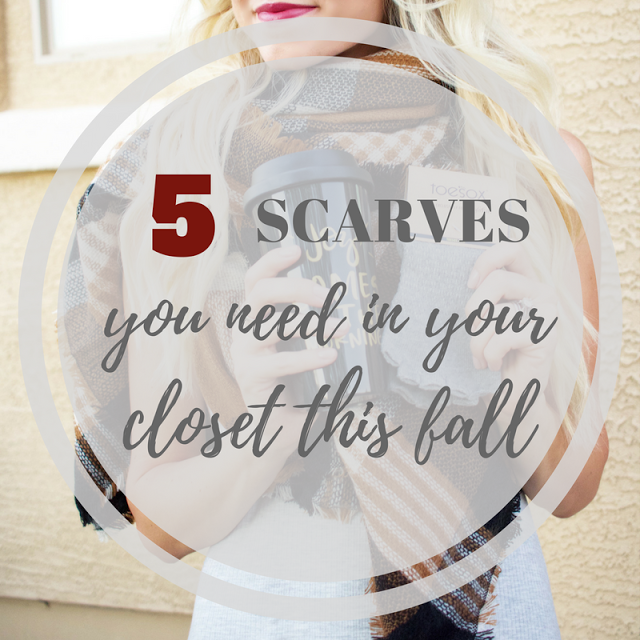 This week our theme is Fall Scarves or you can pick any fashion/beauty related post to link up! Come back weekly to visit us! SPOTLIGHT: This week’s spotlight is Rachael of Threads for Thomas. Jacqueline and I adore her look from last week’s link-up! Be sure to stop by her blog and say hello! 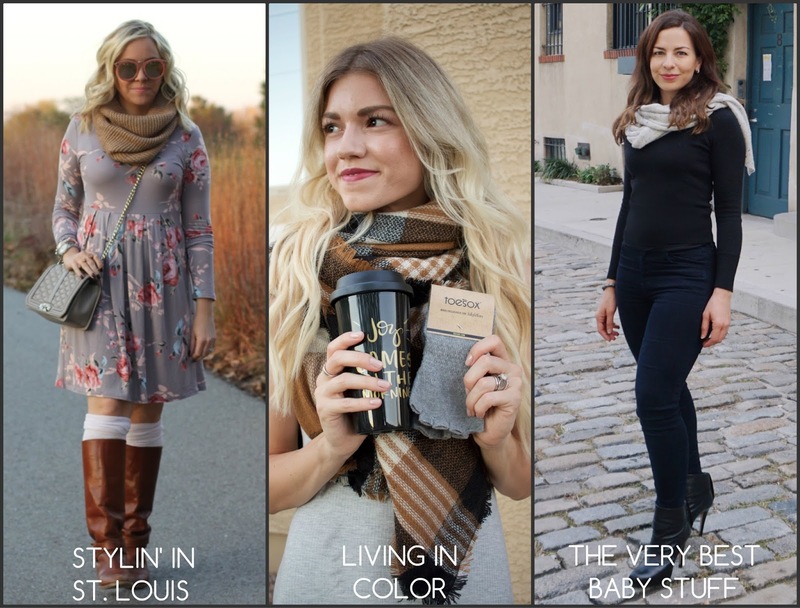 I love a beautiful scarf for fall and winter and the one you got is such a good one from the Popsugar subscription box! I love wearing scarves this time of year, and am loving the neutral tones in yours! Thank you for choosing me as the spotlight of the week!! That scarf is so pretty – I love the colors! Perfect for Thanksgiving 🙂 Thanks for hosting! It's the one thing I like about Autumn is that I can crack open again my winter scarves and accessories! Lovely colours in the scarf. Ooh I love the colors in this one! I'm never without a scarf during autumn/winter, I have loads! I love the neutral colours of yours, it's really lovely.